Marvin Harold Schmidt: pastor, leader and mentor; born 19 December 1936 in Cloud Chief, Oklahoma, USA to Albert and Esther (Nikkel) Schmidt. He was the oldest of two boys. On 23 July 1957 Marvin married Eunice Hofer in her hometown of Yale, South Dakota in the Bethel Mennonite Brethren (MB) Church. They had three children: Colette, Bevan, and Bryan. Marvin died at the age of 64 on 25 May 2001 in Salzburg, Austria while on vacation with Eunice. Marvin grew up in the Corn/Bessie, Oklahoma area where he completed High School at Corn Bible Academy in 1955. He was baptized in the Corn MB Church, Corn, Oklahoma on 16 September 1953. He became a charter member of the Broadway Heights MB Church (now Pine Acres) of Weatherford, Oklahoma in 1954. Early in his life Marvin developed a deep desire for knowledge and learning which took him to Tabor College, Hillsboro, Kansas (1955-1956), then to Southwestern University of Weatherford, Oklahoma (1956-1959) where he received a Bachelor of Arts with a History major and English and Sociology minors, and finally to Mennonite Brethren Biblical Seminary, Fresno, California (1959- 1962) for a Bachelor of Divinity. This desire for knowledge gradually turned into a love for reading. It was not uncommon for Marvin to have four or five books on the go and he was notorious for keeping handwritten notes in his shirt pockets. 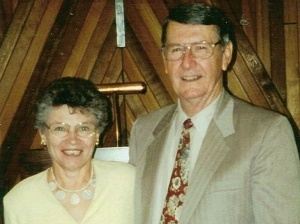 After graduating from seminary, Schmidt began his life's work as a pastor when he accepted the call to shepherd New Hope MB Church in Minneapolis, Minnesota (1962-1966). He was ordained 14 March 1965. Marvin's next pastorate was Cimarron MB Church, Kansas (1966-1969), followed by Fairlawn MB Church, Topeka, Kansas (1969-1973). At this point the Schmidts moved north to Alberta, Canada. Marvin's first Canadian church was the Lendrum MB Church, Edmonton, Alberta (1973-1978). This was followed by a church planting venture with the Millwoods MB Church (Sunrise Community), Edmonton, Alberta (1978-1983). During this time he also managed Logos Bookstore (1979-1983). From there the family moved to Red Deer where Marvin pastored the Red Deer MB Church (1983-1988). Then it was off to British Columbia as Marvin and Eunice accepted the call to pastor South Langley MB Church, Langley, BC (1988-1996). It was here Marvin decided to retire from full-time ministry and he and Eunice moved to Pender Island, BC. Even in retirement Marvin maintained his pastoral mindset as he assisted with preaching in the United Community Church (1996-2001) and as interim pastor in the Saanich MB Church, BC (2000-2001). Schmidt was also an active leader, serving on a number of boards and committees. In the 1960s and early 1970s Marvin was involved in the Central District and Southern District conferences and the United States MB Conference, serving with Mennonite Brethren youth, Sunday School, and various Christian education committees. He was also on the board of Tabor College for a number of years. With the move to Canada, Marvin's conference involvements continued, including moderator of the Alberta MB Conference (1976-1978), Chairman of the Alberta MB Conference Board of Church Extension (1979-1981), and as a member of the Mennonite Central Committee Alberta Board (1985-1988). In addition, Marvin also served on the Canadian MB Conference Board of Spiritual and Social Concerns and Board of Faith and Life, and on the General Conference of MB Churches Board of Christian Education and Board of Resource Ministries. One of Marvin's strongest qualities was his ability to mentor young pastors and leaders. As several mentees have stated, it wasn't a formal mentoring but a very natural, personal approach that drew people to him. Marvin had a way of encouraging others to achieve their potential; he was gentle, caring, quick to forgive, and possessed a unique sense of humor. Marvin once said, "I want to grow old and be a person that will be described as being a life-long churchman, unafraid of change, supportive of good leadership and an ecumenical person." Marvin lived up to this statement. Schmidt, Darrel and Eunice Schmidt. "Schmidt, Marvin (1936-2001)." Global Anabaptist Mennonite Encyclopedia Online. June 2011. Web. 24 Apr 2019. http://gameo.org/index.php?title=Schmidt,_Marvin_(1936-2001)&oldid=96352. Schmidt, Darrel and Eunice Schmidt. (June 2011). Schmidt, Marvin (1936-2001). Global Anabaptist Mennonite Encyclopedia Online. Retrieved 24 April 2019, from http://gameo.org/index.php?title=Schmidt,_Marvin_(1936-2001)&oldid=96352. This page was last modified on 23 August 2013, at 14:49.